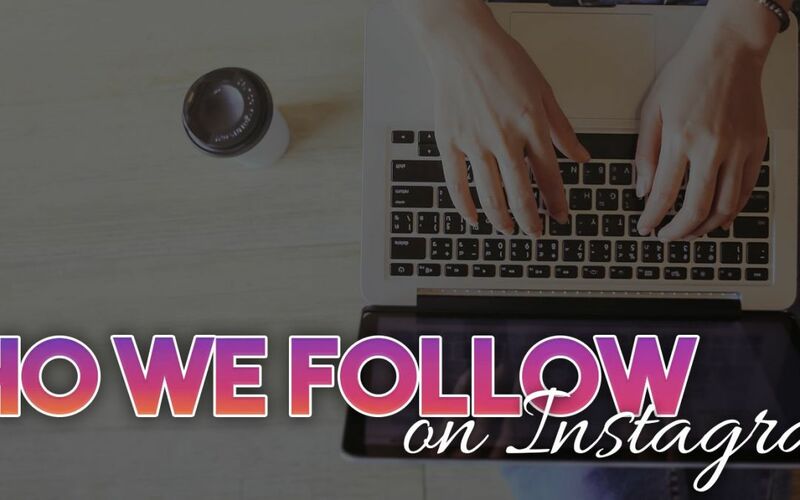 We’ve talked this month about how Instagram is such a valuable social media platform for most businesses and how to properly utilize it. It’s important to be followed, but it’s also important to know who to follow. We like to follow aesthetically appealing profiles who offer valuable information and insights that help us become better people. 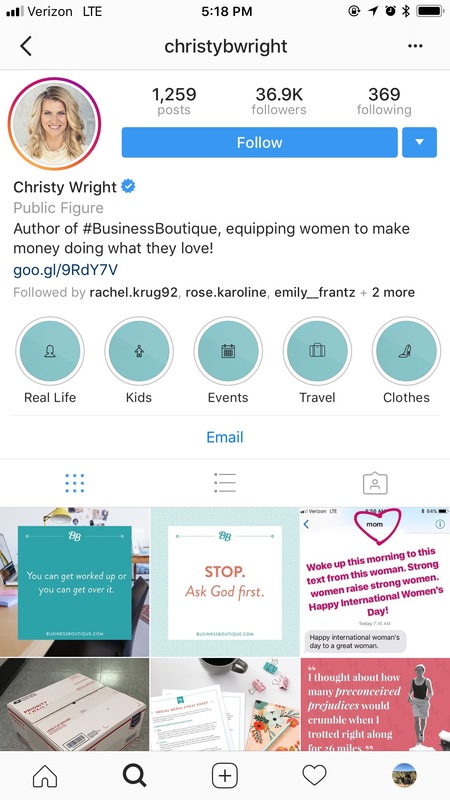 Christy created the Business Boutique to help women do what they love and make money doing it. She is an author, a certified business coach and a personality on the Dave Ramsey Show. She is also a married mom of two and shares posts about friendship, meal preparation, exercise and religion. She says enthusiasm is her love language and she is pursuing her passion by helping other women do the same. 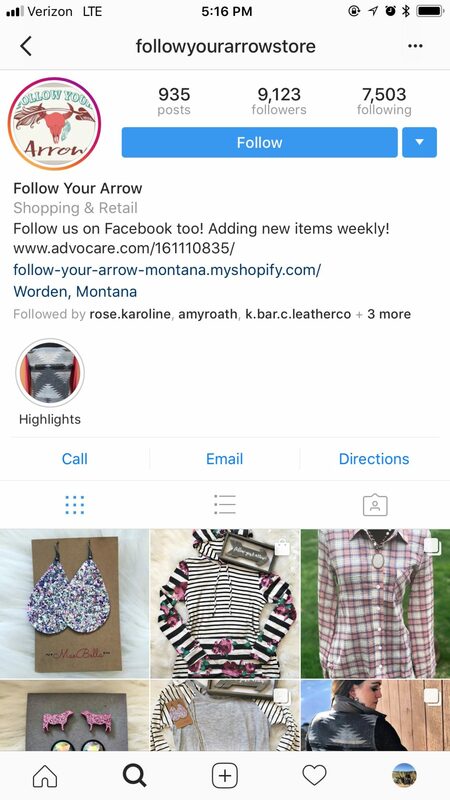 Follow Your Arrow offers a wide range of affordable fashion with great quality and design. The small online store is based out of Montana. They use their Instagram to showcase their beautiful clothing designs and we can’t help but double tap for them. 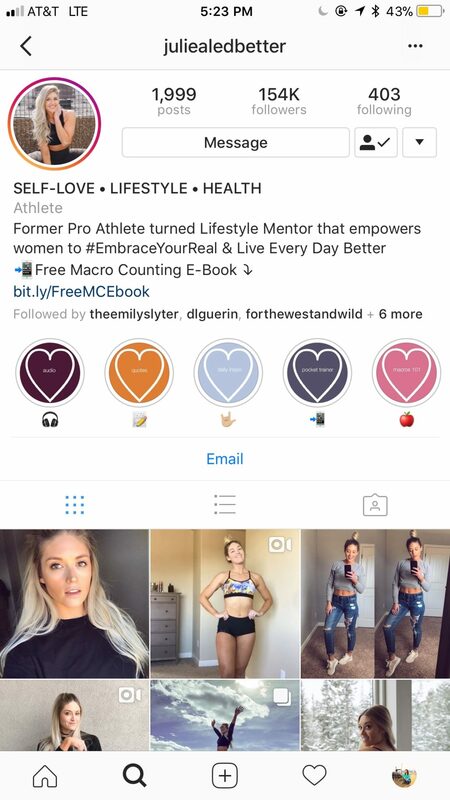 Julie was a pro athlete who has become a lifestyle mentor, empowering women to love themselves for who they are. She struggled with a disordered relationship to food and negative body image for more than a decade. She is now passionate about spreading hope and positivity daily. Her mission is to Live Every Day Better. 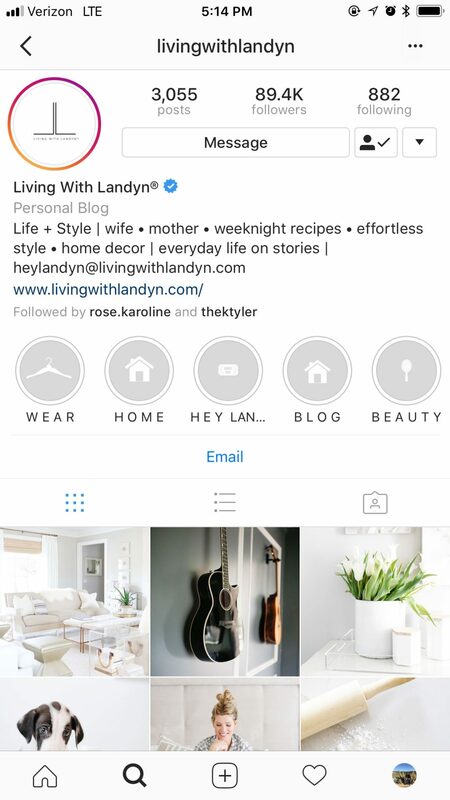 Landyn married her 8th grade sweetheart (who later became an NFL player), is a mother of two and loves lifestyle, fashion and food. Over the years her friends kept suggesting she become a resource for women and to create a space where women ask questions and get the answers they need. She has made that a reality with almost 90 thousand followers. 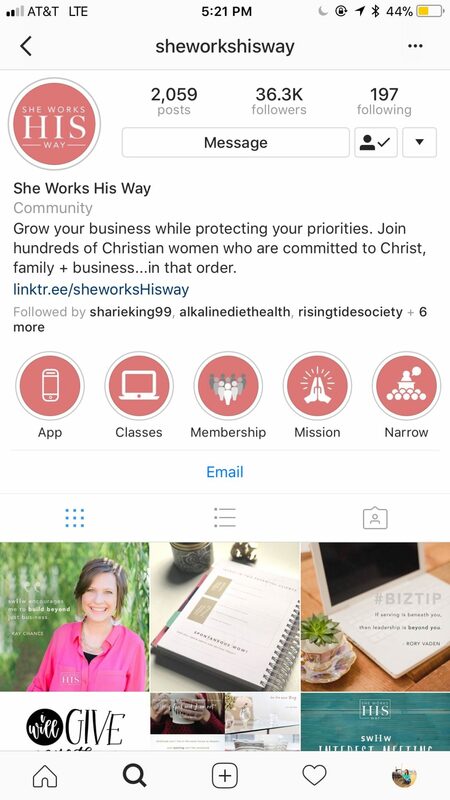 She Works His Way is a community for working Christian women who are dedicated to Chirst, their family, and their business (in that order). Being a member of swHw offers classes, community, academies and consulting. swHw also offers a business tracker, a daily Bible reading plan, a discipline workbook, and much more. We love following She Works His Way for the limitless inspiration they offer. 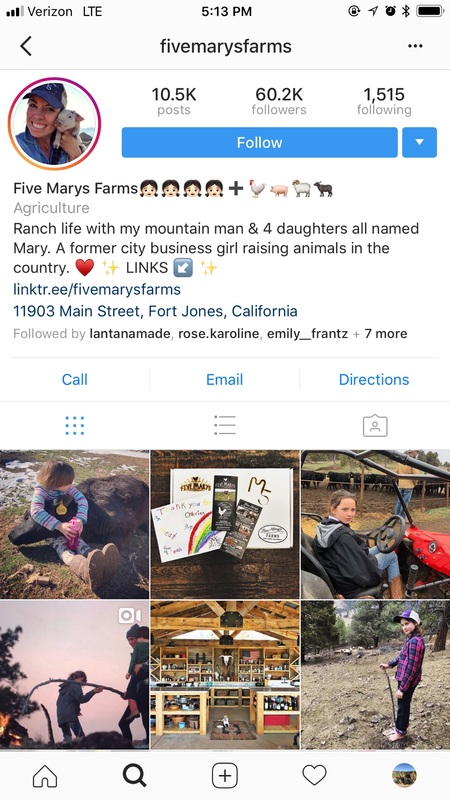 Five Mary Farms is a great Instagram profile to follow if you love agriculture. Mary is a 6th generation Californian, with family roots in Watsonville/Santa Cruz county. Her ancestors came from Ireland to the Pajaro Valley in 1859. They grew strawberries, apples, lettuce and sugar beets at the time. Five Mary Farms is proud to be back in agriculture like their ancestors.